The AMD Radeon WX Vega M GL is an integrated GPU in the slower Intel Kaby-Lake-G SoC. It combines a Kaby-Lake processor, a Vega graphics card and 4 GB HBM2 memory on a single package. The graphics card offers 20 CUs (1280 shaders) and is clocked from 931 - 1011 MHz. 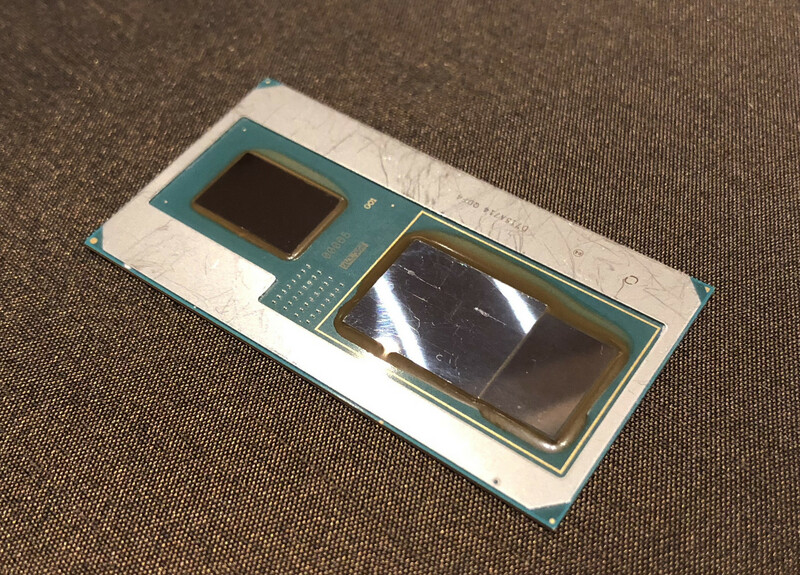 It is technically identical to the consumer Radeon RX Vega M GL. The AMD Radeon Pro (formerly known as FirePro) is the counterpart to the Quadro series from Nvidia and offers certified drivers for professional 3D applications (CAD and DCC). Currently it looks like the GPU is a mixture of Polaris (Shaders?) and Vega (HBM memory controller at least). E.g. the graphics card is called Polaris 22 internally. Detailed information on the Vega architecture can be found in our dedicated article about the Raven Ridge architecture. The performance of the Vega M GL should be between the Nvidia GeForce GTX 1050 and 1050 Ti. The power consumption should be quite similar to a dedicated Vega Mobile GPU, but due to the small form factor, smaller laptops can be built with the Kaby-Lake-G SoC. The TDP is specified at 65 Watt for the whole package including GPU, CPU and HBM2 memory.